An open-source GUI prototyping tool that's available for ALL platforms. The latest stable version of Pencil is 3.0.4 which contains stability fixes and features a visual stencil builder. More details can befound in the releaste notes. Jun 27, 2017 Pencil 3.0.4 is released released. Jun 06, 2017 Pencil 3.0.3 is released released. May 11, 2017 Pencil 3.0.2 is released released. Feb 20, 2017 Pencil 3.0.0 GA is now released. Feb 09, 2017 Pencil 3.0.0 rc2 is available for testing. 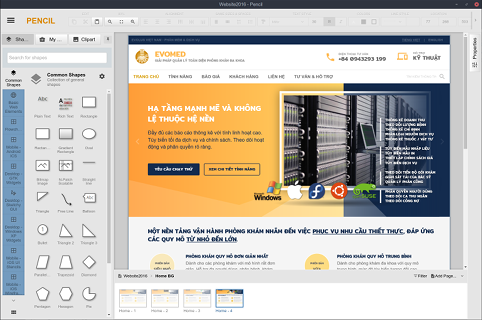 November, 2015 Development for the new version of Pencil started. Copyright © 2008-2012 Evolus. All rights reserved.